The policing operation has been extremely wide-ranging, going far beyond the circuit itself including patrolling campsites, car parks and the surrounding road network - and involving the deployment of many specialist assets including armed officers and ANPR Units. Since the operation started at 7am on Thursday (July 5), 21 crimes were recorded, most involving theft and disorder through drunkenness. The policing operation has been extremely wide-ranging, going far beyond the circuit itself – including patrolling campsites, car parks and the surrounding road network - and involving the deployment of many specialist assets including armed officers and ANPR Units. The force said policing of the rest of Northamptonshire was not impacted by this event with response officers, neighbourhood officers and investigators on duty across the rest of the county, protecting people from harm. 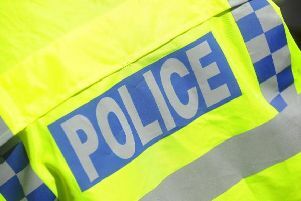 Superintendent Chris Hillery, event commander for Northamptonshire Police, said: “This has been a really successful operation once again with the months of planning having paid off. Although we have many years of success behind us with regards to policing this event, that doesn’t mean we are complacent. Superintendent Hillery also paid tribute to the many partner agencies who have worked alongside Northamptonshire Police in the planning and implementation of the policing operation including colleagues at Thames Valley Police, regional forces, East Midlands Ambulance Service, Northamptonshire Fire and Rescue Service and the Military.